As you watch this meditative clip, I invite you to release fear, anger, preoccupations, and dense energies. Allow them to be transmuted and replaced by gratitude. Send love skyward to the sylphs so they may be supported in their work. Their work includes bringing Heaven to Earth and clearing the space all around. As light is illumination, they assist in bringing illumination from the heavens to earth. They also nourish plants with sunlight. 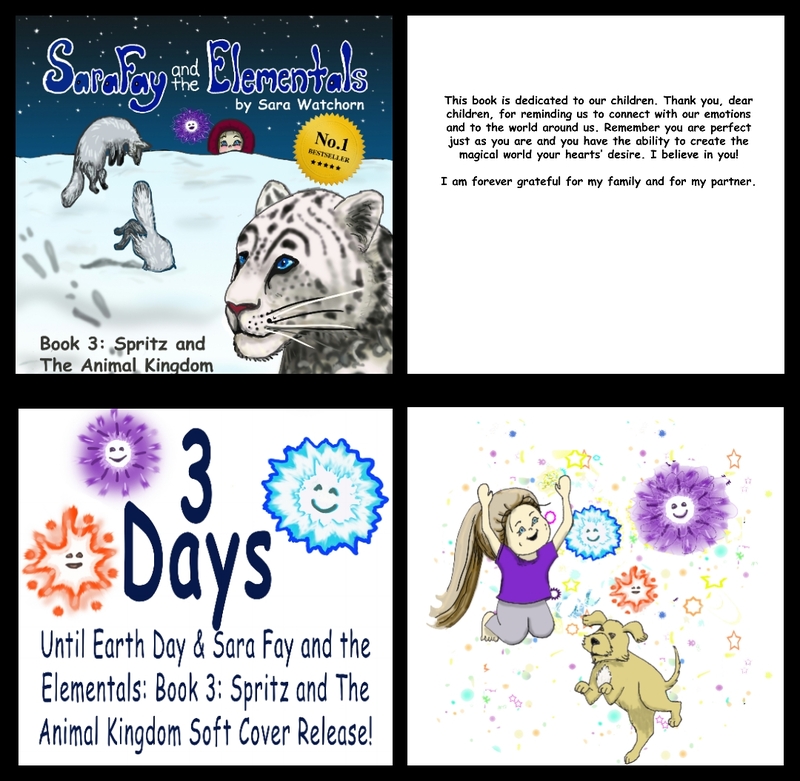 Sara Fay and the Elementals: Book 3: Spritz and The Animal Kingdom Soft Cover Release Countdown. What better timing than being released on Earth Day? Remember, it is available in the USA, UK, Australia and Canada. 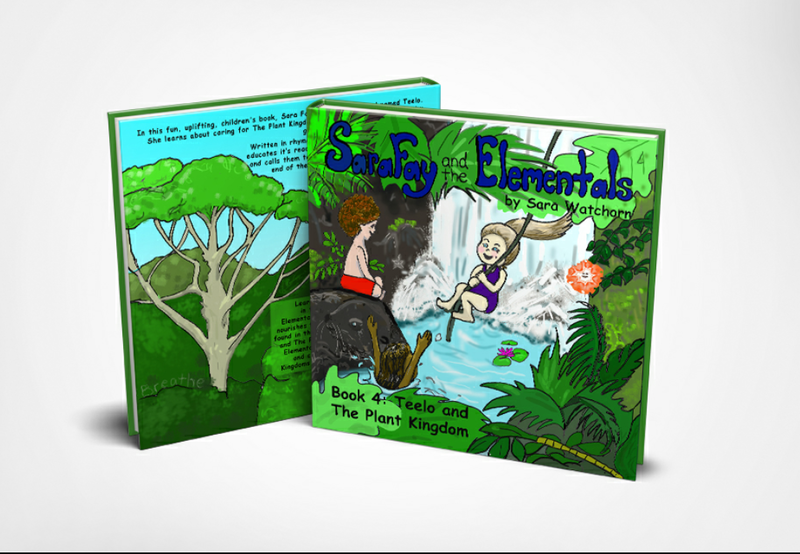 I hope you and your children enjoy your adventures with Elmoraz, Spritz and The Elementals!